When you’re first handed your tiny newborn for the first time, it’s highly likely that your midwife will recommend skin-to-skin contact. This is when you hold your baby on your chest and tummy so that your bare skin is touching. I held Penny for a little while when she was born, all gooey and blue, but because she was a forceps delivery they needed to give me stitches and clean me up so she was quickly whisked away. It wasn’t until I was all cleaned up and back on the ward that she was handed over and put on my chest properly. We both lay there in silence, both exhausted and a little traumatised by what just went down. Even now, at three months old, Penny loves to lie in the same position. Lying on my chest helps to soothe her when she’s upset and helps to settle her when she’s fighting sleep. 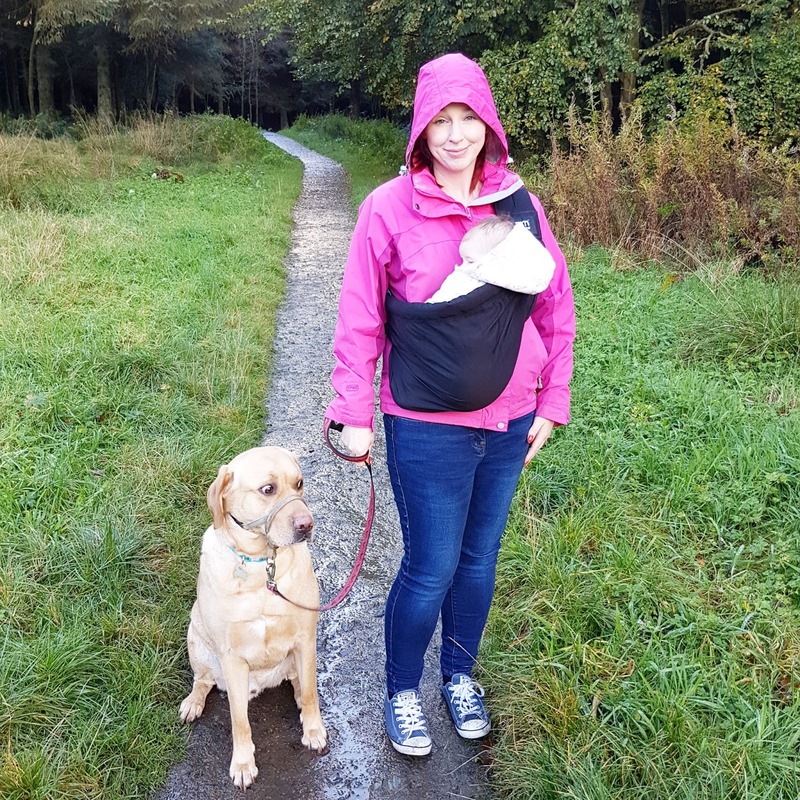 As you can imagine constantly clutching Penny to my chest whilst trying to blog, clean the house, unpack the shopping, let the dog out, you know, eat, isn’t the easiest, this is where my trusty Soohu Sling from We Made Me* comes in handy. We Made Me (formally know at BabaSlings) are a small, award-winning, British company that have taken the ancient tradition of Babywearing and revolutionalised it for the modern family. The Soohu Sling is an innovative 5-in-1 baby sling ideal for babies aged from 0 to 24 months and weighing 8 to 35lbs. The hammock-style sling supports five different carrying positions, including two for discreet breastfeeding. The Soohu Sling is available in three styles; Lite (ultra light and breathable), Organic (a unique eco-conscious design) and Classic (for everyday, all year round use) with a variety of fabric patterns and colour options to choose from. I chose the Classic Soohu Sling in Midnight Black, other colours available include Charcoal Grey, Deep Blue, Dolphin Grey and Lavender. The hammock-style carrier comes sealed in a reusable cardboard tube with a detailed instruction booklet and a handy ‘day out’ pouch. 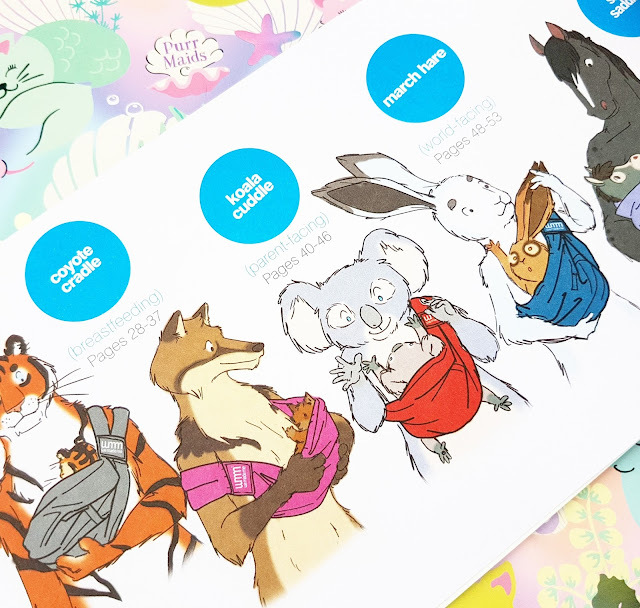 The booklet breaks down the five carrying positions into easy-to-follow steps and each has an adorable animal mascot to help you on your way. Each carry position is perfectly designed to support a newborn’s spine whilst evenly distributing the weight of the baby across your shoulders, thus avoiding any unnecessary strain. We put the Soohu Sling to the test on our first family walk in the woods. Putting on the Soohu Sling was all a little tricky at first, I definitely recommend when trying it for the first time you do so with a baby who’s in a relatively happy mood and that you have an extra pair of hands to help. 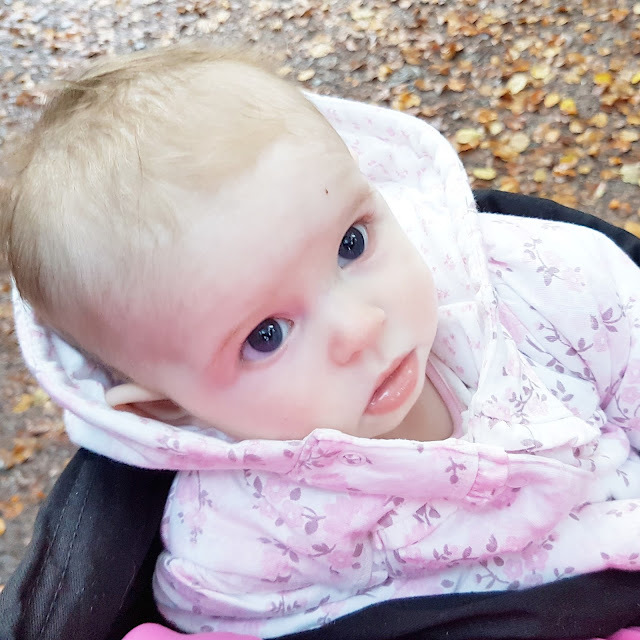 It was trial and error in the beginning, the step by step instructions are detailed but Penny was in a very wriggly and irritable mood so it took us a while to find a position she was comfortable with. Once she was settled we set off on our mini adventure. Surprisingly Penny was content throughout the whole walk! Having my hands free was great for walking Alfie. It meant we could go off the beaten track without covering my pram in mud and struggling to push it over stones and debris. Penelope fit snugly against my chest without putting any strain on my back or pressure on my shoulder thanks to the split-padded strap. It is also very easy to adjust if you find you want to change positions on the go. Although it rained a bit, our short walk was lovely and stress-free. 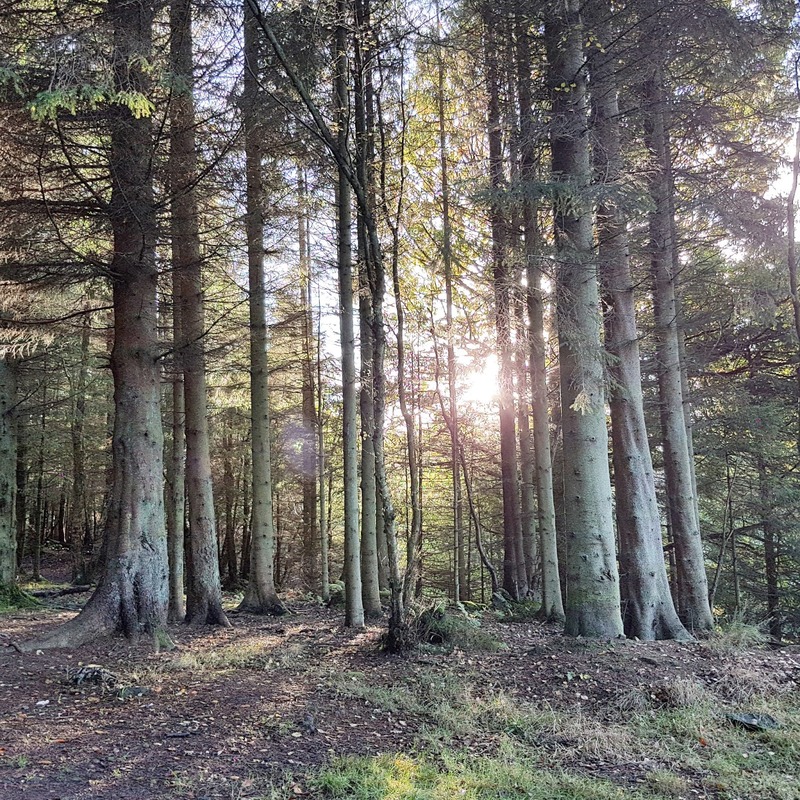 When you have a newborn it’s very easy to feel confined and a little trapped, so it was nice to explore the woods and get some fresh air for a change. 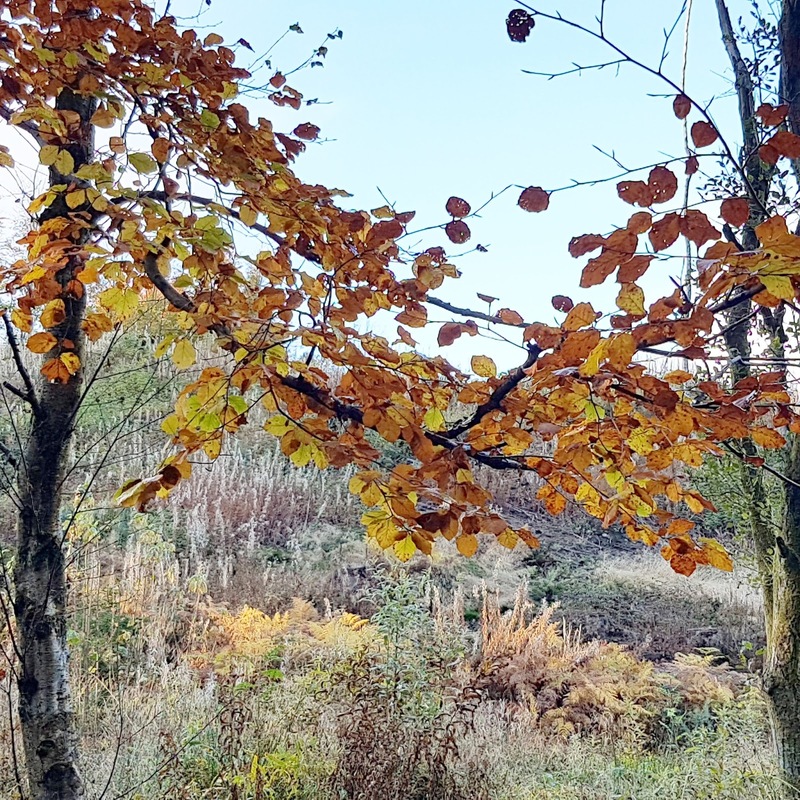 The woods were so peaceful, the freshly fallen autumn leaves covered the forest in their beautiful colours and the sun shone through the trees to cast all kinds of interesting patterns and shapes. I loved how the Soohu Sling allows Penny to feel close and secure but at the same time see all the nature and wildlife around her. We love our Soohu Baby Sling. It’s perfect for short walks and wearing around the house. It allows us to go about our day whilst helping Penny be physically close and feel secure which helps to soothe her. Each position feels natural and Penny is definitely comfy and relaxed whilst being carried, believe me, she’d tell us if she wasn’t! The sling is ultra light and very durable and machine washable. The Soohu Baby Sling by We Made Me is available here and retails for £49.99.